Removing parts and labeling them as you go, makes it so much easier when putting the boat back together again. Using masking tape and markers is a simple and easy method of keeping track of what goes where. Make sure you check the construction methods the original boat builder used to attach parts, as you may either need to use the same process, or upgrade the fastening methods to more current standards to improve safety. Sometimes just ripping and tearing the headliner is your only option to get to the top’s fasteners below deck. Then replacing the headliner is another whole project unto itself. 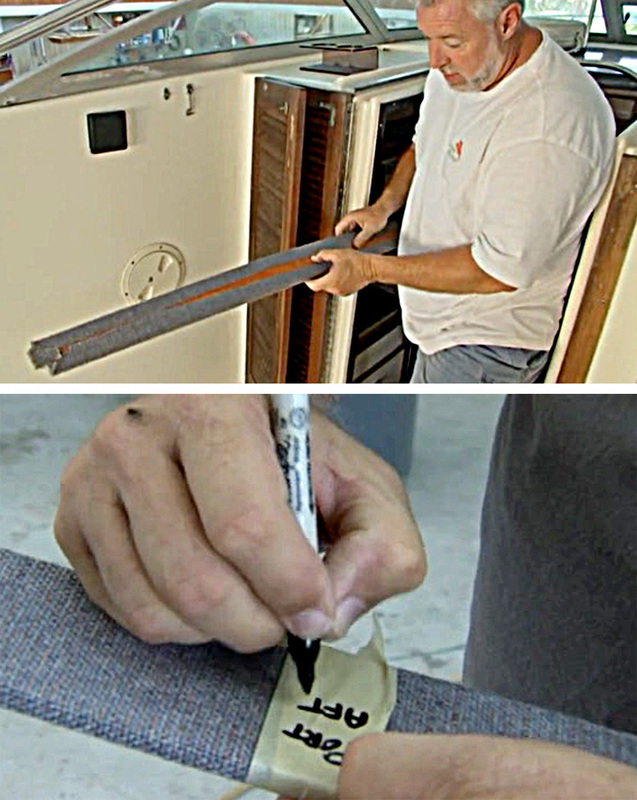 The Part 4 video shows you how to remove parts that need replacing and provides a tip for attaching rails that can make a boat safer. 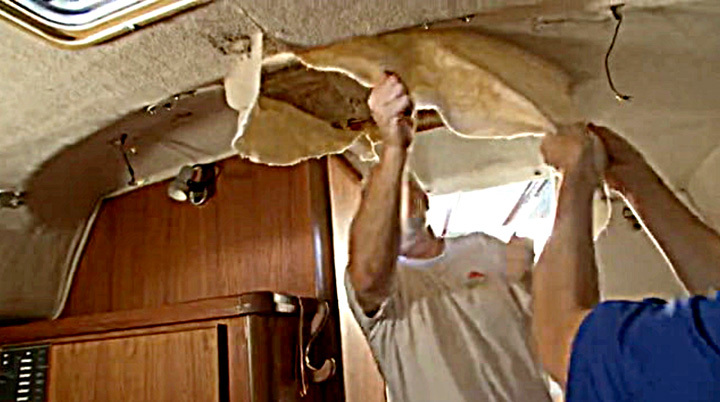 To gain insights into properly securing a railing to make sure it provides adequate safety, removing the windshield and other boat make-over tips, watch the latest video below, Part 4 – Discovering what a boat is really made of when taking it apart. Thank you for sharing excellent information. Your site is very cool. I am impressed by the details that you’ve on this blog. It reveals how nicely you understand this subject. I Bookmarked this web page, will come back for more articles. You, my pal, ROCK! I found just the info I already searched all over the place and just couldn’t come across. What a great web-site. I have been reading a few of your articles and I can state – pretty good stuff. I will definitely bookmark your site. Thank you for all of your work on this web page. Almost all know all of the powerful medium you offer – reliable techniques by means of your web site and as well encourage response from some others on this concept plus my child is really being taught a whole lot. Take pleasure in the rest of the new year. You have been conducting a splendid job.